Jayalalithaa has been a favourite of everyone. After her death, many people came out saying they are her kids. The Tamil Nadu government produced in the Madras High Court a video clip of Jayalalithaa from an event in July 1980 which it said disproved a woman’s claim of being late chief minister’s biological daughter. State Advocate General Vijay Narayan submitted a copy of the video before Justice S Vaidyanathan. 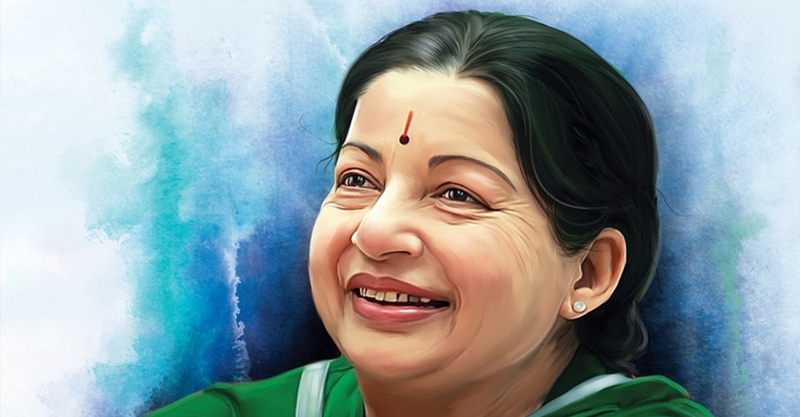 He said though the petitioner claimed that she was born to Jayalalithaa on August, 14, 1980, the video of the former chief minister participating in the 27th Filmfare award function just a month earlier did not show her being in an advanced stage of pregnancy. Mr Narayan was presenting his arguments on the petition filed by the Bengaluru-based woman, who claimed that she was born to Jayalalithaa and given for adoption. She was seeking a DNA test to prove her parentage. The woman had filed the petition months after Jayalalithaa’s death in December 2016, claiming that her foster father had revealed about her mother just before his demise. The woman had moved the court seeking direction to exhume the mortal remains of Jayalalithaa and cremate it as per the rituals and customs of the Iyengar community to which she belonged to. She also sought a direction to conduct a DNA test to prove her claim. Rejecting her claim as nothing but figment of her imagination, the advocate general said she was bringing disrepute to the late leader. The petitioner had submitted that she was born to Jayalalithaa on August 14, 1980 and was raised by Sailaja, the younger sister of Jayalalithaa in Bengaluru. Jayalalithaa’s family had disowned Sailaja since she was born after the death of Jayalalitha’s father, Jayaram, the petitioner said. Denying this, Narayan contended that so far the woman had not submitted any documents to prove that she was the daughter of the former chief minister. She has been making false allegations against the leader, which also amounts to defamation, he said. Narayan further submitted that in 2014, Jayalalithaa had even filed a defamation petition against Sailaja for claiming to be her sister. The petitioner claimed that Jayalalithaa had visited her residence in Bangalore when she was the chief minister and that she also visited the latter at her Poes Garden residence in Chennai. However, she had neither produced documents nor photographs regarding the alleged meeting. The petitioner had also not submitted any documentary evidence. The petition has been filed with an ulterior motive, he said. Recording the submissions, the judge observed that everything surrounding the life and death of Jayalalithaa remained a question mark, including the claim of the woman. He then adjourned the plea by a week for further hearing.